Raised by wolves, lured to a windswept island, transmogrified into a cat… everyone is trapped or lost or running, whether they’re drinking themselves to death in rural Italy or living under a false identity after a terror attack. Bleak and hopeful by turns, Lang’s stories disturb, provoke and entertain. 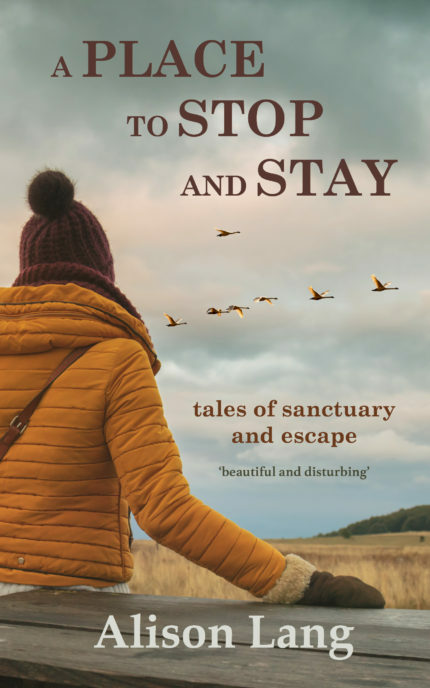 A Place to Stop and Stay includes original stories in English as well as previously published stories translated from their original Gaelic by the author.